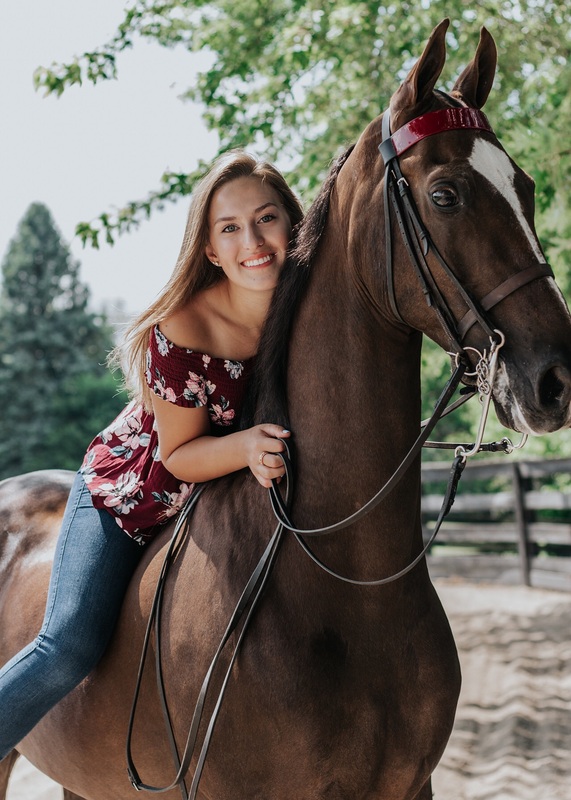 LEXINGTON, KY — December 19, 2018 — The American Saddlebred Museum is pleased to announce Jordan Bartosiak of Brookfield, WI is recipient of the first Keith Bartz Impact Scholarship Award. The scholarship committee chose Bartosiak from an outstanding group of nominees. The scholarship celebrates the life of Keith Bartz who focused his time, talent, and resources on building the American Saddlebred Museum and the celebration of the American Saddlebred horse. The recipient is an individual who exemplifies the same character and enthusiasm for our breed. Bartosiak has been involved with the American Saddlebred for over ten years. Her home barn is Knollwood Farm in Hartland, Wisconsin. An accomplished equestrian at the Academy level, last year she began showing at the A level. In addition, she teaches riding lessons and works at summer camps for beginner and advanced riders. She routinely volunteers at riding events which support local charities including the Humane Society and other community educational outreach. She was an active participant in the Knollwood Knockouts, a youth group where she served as vice president and president. During that time, she organized many community events including coat drives, honor flights for veterans, and supported victims of Hurricane Maria in Puerto Rico as well as Saddlebred rescue efforts. In school, Bartosiak is an important part of the Key Club, and is a member of the National Honor Society, Spanish Honor Society, and Student Council. She was a charter member of the SEED Club, which encourages students to be environmentally aware and has increased recycling in her school. She played on the tennis team for four years and served as team captain as a senior. Bartosiak is a senior at Brookfield East High School and is currently applying to colleges. She plans to study neurobiology in hopes of becoming a dentist. Her work with the American Saddlebred and the community in general shows her enthusiasm for the breed and for the wellbeing of the community as a whole. Shop the gift shop online at shop.asbmuseum.org and visit us in-person at the Museum.